If you shopping for some new spring dress shirts and like to have the very latest styles out there, Daniel Ellissa is one name to put on your shopping list at Contempo. 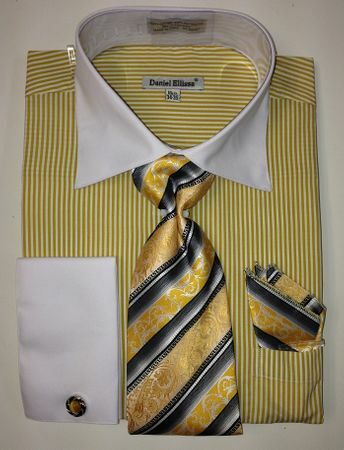 This mustard color dress shirt features oxford style stripes and contrasting french cuffs and collar with the matching tie set ready to show the world that you know about style and clothing. Made of Cotton/Poly fabric.